Redfin Compete Score: How Hard Is It to Win That Home? 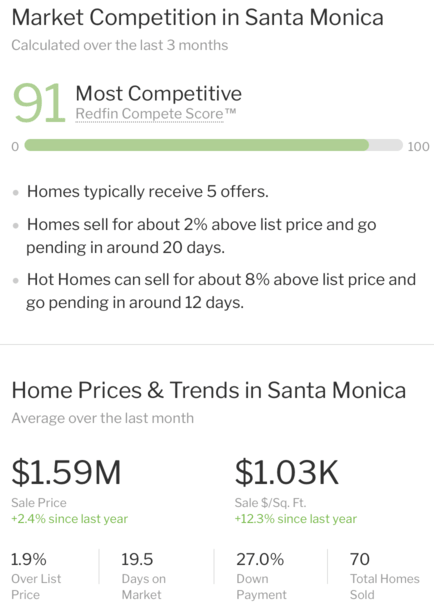 Redfin just launched its so-called “Compete Score,” a tool designed to help prospective home buyers determine how hard it’ll be to “win a home” in a particular city or neighborhood. Is this the beginning of the end? The late stages of a housing market rally that began nearly six years ago depending on the region of the country? It feels a little ominous, but let’s learn more about this new tool for home buyers and sellers that complements their existing Redfin Estimate. What Is Redfin Compete Score? At the moment, Compete Score is available in some 8,200 cities and 13,000 neighborhoods across the United States. In short, it measures how many offers a home typically receives in a certain region, along with what price a home tends to sell for relative to its list price. Additionally, days on market and number of waived contingencies is calculated. This results in a Compete Score ranging from 0 to 100, with the higher numbers representing more competition and the lower numbers signifying less interest. When you browse a specific listing on Redfin’s website or app, you’ll see a section about market competition under the neighborhood tab. You can also see a Compete Score for an entire city or neighborhood on the new “Home Values” tab when searching in a particular zip code. Now let’s discuss how you can use Redfin Compete Score to perhaps make a better offer, or to list your home for an appropriate price. Homes there typically receive five offers, go pending in just 20 days, and sell for roughly 2% above list price. That probably doesn’t come as a great shock to anyone familiar with the area. If it happens to be a Hot Home in an equally hot hood like Santa Monica, the property might go under contract in just 12 days and sell for 8% above asking. On an individual property listing page, this section includes “what it takes to win an offer” with comments from Redfin real estate agents in the immediate area sharing their thoughts on local competition. For example, you might see a bunch of comments from Redfin agents that made winning bids under ask, or a bunch that were rejected for going under ask. If the neighborhood is particularly hot, you might see a bunch of over ask offers that failed to win. Assuming there’s enough data, you could see a trend over time, where offers went from over asking to under and turned from losing bids to winning bids. This could help you put together a winning bid with your real estate agent, though I should point out that every home is different, and just because properties are nearby one another they aren’t necessarily the same. Or even close to the same. In an effort to ensure the Compete Score is accurate, it’s limited to areas where at least 25 homes have sold in the past 12 months. Each month, the Compete Score is updated for a given area to reflect the most recent home sales data. So it’s possible for an area to become hotter or colder depending on what transpired the month before. Redfin points out that desirability and competitiveness are two different things. For example, an extremely desirable area may actually see competition wane as home prices climb further and further out of reach. This could be a sign that a particular housing market is beginning to top out, despite being immensely popular. We keep hearing about the possibility of that happening in places like Seattle and the Bay Area, but the buyers keep on coming, for now. The Redfin Compete Score may also lead to fewer surprises for home buyers vying for a certain property, who might be disappointed, even when bidding well above asking. It could also save a home buyer some bucks if the listing agent is making the property/area out to be hotter than it actually is. Or as I pointed out, quantifiable trends may develop that can aid in making a more conservative winning offer. Does This All Portend Another Bubble? And reflects the current lack of inventory affecting many regions across the U.S.
At first glance, the new Redfin Compete Score felt like another bubbleworthy addition to the current housing market we’re experiencing. 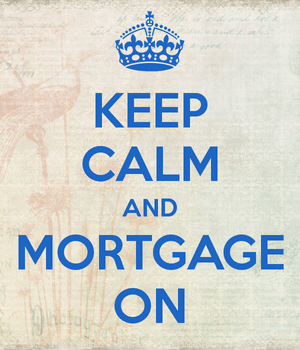 After all, you’re trying to “win a home” as opposed to making a thoughtful financial decision. No longer is simply making an offer on a property good enough. One must be ready to make a bid above asking, and/or waive important contingencies to get the deal done. Or perhaps you have to pen a letter to the sellers, effectively begging for their property, while promising to keep it in its original state. Because after all, it is perfect, and it should be maintained as such for generations to come, regardless of your own taste and preferences. For me, it signals a little more craziness in a housing market that has been crazy for some time now. Sure, it’s also just a sign that there’s more data available than ever before, but its mere existence might give a discerning home buyer pause. Not that I think this housing market is going to crash just yet.